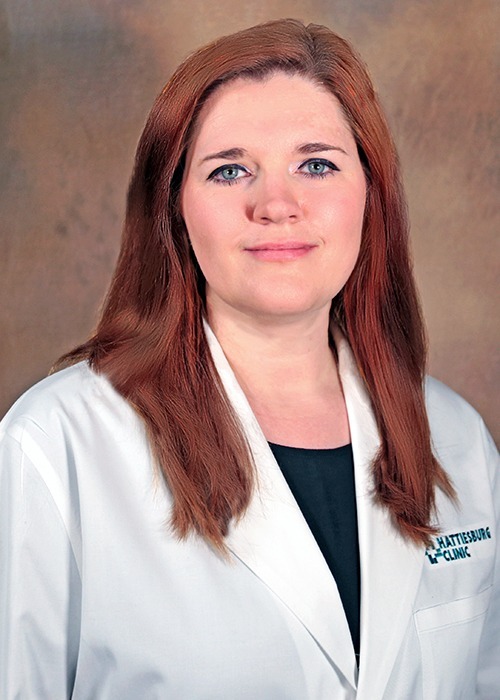 Karen C. Ladnier, CNP, is a certified nurse practitioner at Hattiesburg Clinic Critical Care Medicine. Ladnier received a Bachelor of Science in Nursing from The University of Southern Mississippi in Hattiesburg, Miss., and a Master of Science in Nursing from the University of South Alabama in Mobile, Ala. She is board certified as an adult gerontological acute care nurse practitioner by the American Nurses Credentialing Center. At Critical Care Medicine, Ladnier provides care to patients with life-threatening medical issues who are on life support or in need of other intensive medical care. “It is my goal to provide complete support and care for my patients and their families. Bachelor of Science in Nursing, The University of Southern Mississippi - Hattiesburg, Miss.